The G string is a dream. It possesses the deep rich quality of a fine ‘cello A, but there is no unevenness in the strings. The harmonics are loud and pure, and what is of great importance is an entire absence of ‘scrape’ … And it will, I venture to predict, in spite of prejudice, ultimately be recognised not only as a triumph of creative skill, but as worthy of taking its place with those instruments which depend for their effect upon attuned strings. The Digital Age is upon us and with it the Digital Violin. Strictly speaking a Digital Violin is an Electric Violin and properly both come under the heading of Violin. A Digital Violin is a musical instrument with a frequency range spanning the entire audible spectrum and beyond. The Violin Today is an electrified instrument. It developed successfully in the 1930s and has gradually improved ever since. From Leo Fender’s work-bench, arguably the most perfected electric violin came after over a decade of development in 1958. He secured a patent for body design and pick-up in 1961. Since the mid-1980s a number of makers have blatantly unconsciously or in innocence ‘copied’ the Fender. Yet, although unique, the method of pick-up is now virtually obsolete. 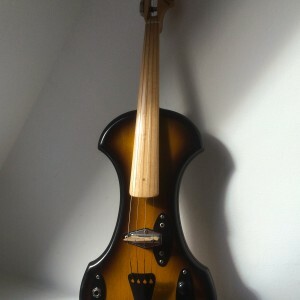 Leo Fender’s instrument was certainly the first to be officially termed Electric Violin but it was actually produced decades after the first ground-breaking electric violins appeared on the world’s musical instrument market; and there are very clear connections to the instruments manufactured today from those earliest makers. Proof of sorts that they are more than mere novelties. Here is a story uncovered, leading through the darkest period in the history of the violin. The story unfolds chronologically. It sort of just starts in the 18th Century, reaches a peak in between the two world wars and gradually becomes a ball of confusion throughout the 1990s before reaching points of clarity by 2010. Today, Digital Violin. It offers untold soundscapes and visions unseen but remains explored by few and taught by a handful. Fewer take it as their career. It is an instrument with no set form and no known technique – only that it was born from the violin so something about it makes perfect sense. For many years now almost every professional mainstream violinist who has made a commercial recording has been digitised. The British Broadcasting Company launched their self-proclaimed historical Digital Channel on September 23rd, 1998. Currently the UKs analogue television signal is being replaced with a digital signal (August 16th, 2010). The Digital Age as some people call it is nowhere better experienced than using the internet. The BBCs long-running Ceefax now Digital service is like a tiny internet service. In artistic terms the internet is a vast multi-sensual stage and theatre offering totally new experiences. The internet also provides a window of opportunity for digital music to thrive; and for business, digital is fast, efficient and cost effective. Today’s violin is a digital instrument with a compass spanning the entire audible frequency spectrum and effectively way beyond. It is also a musical instrument with a dynamic range from the slightest rustle of a leaf to the near-fatal decibel level of something like the noise of a harrier jump jet engine; the sound of the earthquake. As with the dangers attached to using the internet there are dangers attached to playing a digital violin. Some are claiming coming shortages of professional violinists. The trend in acoustic violin playing is a horrible downward curve and nowhere is this felt more than in schools. For the school or music service violin teacher, the world can be a very depressing and strenuous place to live. High turn-over of pupils; long enclosed hours in very varying degrees of suitable working environments; regular short burst travel to and from schools; anti-social hours and long working weekends at music centres and with extra-curricular courses. If they have not already given up playing, all this is done whilst trying to maintain a fulfilling and wholesome life as a performing professional musician. Practice time for children is slotted in very neatly now in this climate of academic success in examinations being so crucial and application for further education and jobs vastly over subscribed. There is an exciting potential still waiting to be grasped! The internet is a World Encyclopaedia of just about anything that can be recorded, stored and played back but how many schools are linked to a free provider service of music to use as resources? It’s potential use is incredible and rapid changes in ways vast music libraries can be made available are already being used. Search Engines provide the user the ability to multi-cross-reference to a degree hitherto impossible. Data sifting is likely to be the Gold-Rush of the 21st Century. Obtaining the ultimate piece of information is fast becoming a scourge and drive in parts of the world population. Everything of course depends on the usefulness of the recorded and stored information. In sheer volume the number of words, images and sounds that have been digitally published during the last four years is an unprecedented amount in the whole of history. Whether you are a student, hobbyist, trader, artist, gambler or none of these, the internet will have something of use and interest to you. 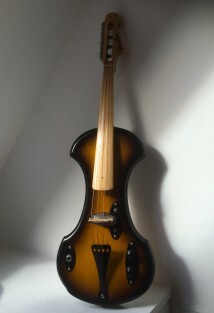 It is one of the only places to turn to if you are interested in old Electric and new Digital Violins. More and more people are making use of the Digital violin by publicising, advertising and performing using the internet. As can be found the acoustic violin seems to have found a new life here also. It is useless to argue if electricity be “natural” or “supernatural” … we endeavor to find out the natural laws governing it..